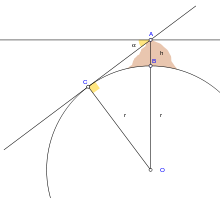 In 1791, the French Academy of Sciences selected the circumference definition over the alternative pendular definition because the force of gravity varies slightly over the surface of the Earth, which affects the period of a pendulum. To establish a universally accepted foundation for the definition of the metre, more accurate measurements of this meridian were needed. The French Academy of Sciences commissioned an expedition led by Jean Baptiste Joseph Delambre and Pierre Méchain, lasting from 1792 to 1799, which attempted to accurately measure the distance between a belfry in Dunkerque and Montjuïc castle in Barcelona to estimate the length of the meridian arc through Dunkerque. This portion of the meridian, assumed to be the same length as the Paris meridian, was to serve as the basis for the length of the half meridian connecting the North Pole with the Equator. The problem with this approach is that the exact shape of the Earth is not a simple mathematical shape, such as a sphere or oblate spheroid, at the level of precision required for defining a standard of length. The irregular and particular shape of the Earth smoothed to sea level is represented by a mathematical model called a geoid, which literally means "Earth-shaped". Despite these issues, in 1793 France adopted this definition of the metre as its official unit of length based on provisional results from this expedition. However, it was later determined that the first prototype metre bar was short by about 200 micrometres because of miscalculation of the flattening of the Earth, making the prototype about 0.02% shorter than the original proposed definition of the metre. Regardless, this length became the French standard and was progressively adopted by other countries in Europe. ^ King, David A. (1996). Rashed, Roshdi, ed. Astronomy and Islamic society: Qibla, gnomics and timekeeping (PDF). Encyclopedia of the History of Arabic Science. 1. pp. 128–184. ISBN 978-0203711842. Retrieved 10 November 2016. This page was last edited on 17 March 2019, at 06:03 (UTC).